We help startups and small to medium sized businesses avoid costly mistakes so the law doesn’t become an obstacle to their growth. We do this for both traditional brick & mortar and Internet-based businesses. While business and transactions law forms the core of our legal services, we possess a keen understanding of the technology-driven & e-commerce issues that many of today’s businesses face. Simply put, we understand how to help protect our clients from liability across the entire commercial spectrum. Focusing on startups and small to medium sized businesses means we understand business owners are sensitive to legal fees. Our unique value-fee structure is specifically geared for our business clients. 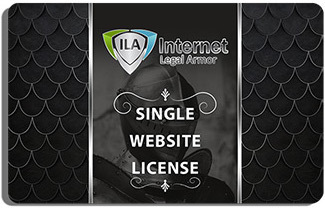 Offering flat-fee business organization, trademark registration and custom website legal agreements are just some of the ways in which we try to offer an affordable fee structure. We also offer a tiered fee structure for clients that need more than occasional legal representation. Depending upon the volume of legal work required, we can arrange a workable hourly fee solution for your business. Legal services should help your business grow by saving you money in the long-run. Avoiding costly mistakes should be a primary concern for every business and for good reason. But, when legal fees significantly hurt a business’s bottom line, the ends may not justify the means. We offer payment options through our client web portal using PayPal or by credit card payment and we now also accept payments in bitcoin.